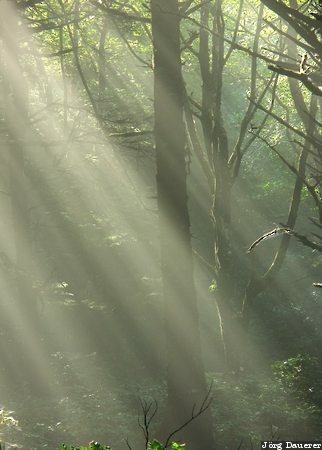 Light beams on a misty morning in Ecola State Park near Cannon Beach. Ecola State Park is on the coast of the Pacific Ocean in Oregon, United States. This photo was taken on a sunny day in October of 2004. This photo is part of the exhibition Sun Beams (October 2011). This photo was taken with a digital camera.